Over 8 million viewers tuned in for the Season 5 finale of Game of Thrones. If you haven’t seen the finale yet, or begun season 5, this blog post is not for you. Come back in two days when I’ll have a poster to share for Wordless Wednesday. For the rest of us, I’ve been mulling over the finale. 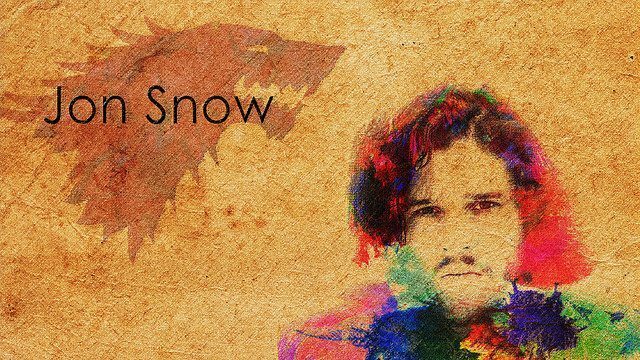 I’m not looking for clues as to whether or not one of our favorite characters, Jon Snow, is still alive (many say that he is). I’m considering what it means that the youngest Lord Commander of the Wall was stabbed by his men. As they pushed swords into his chest, each of them looked him in the eye. “For the Watch,” they said, in an eerily Caesar-like stab scene. Jon had the formal role of authority: he was in charge of Castle Black, including the men and their swords. Formal titles, however, don’t always mean that people will agree with your leadership decisions. (This isn’t the first time the Watch have killed a Lord Commander. They are landlocked pirates). The trend in leadership studies or coaching has become to focus on the positive and possibilities. Neither of these ideas are flawed. They fail to address the context or situational challenges leaders can find themselves. Sometimes, as Jon learned firsthand, your vision is not what people want. Even if you are trying to save their lives. Jon had a radical ideal. He would bring in the Wildlings, free people who lived beyond the wall and hated everyone in the 7 kingdoms, particularly the ‘crows’ of the night’s watch. Every person he brought into the castle was one less White Walker minion of the future. Sensible plan. Visionary. Yet the historical distrust and discrimination against the Wildlings, including even the youngest, a boy named Ollie, could not be overcome by sense. Jon is young – the youngest leader that Castle Black has ever seen. He is commanding men much older than him. This is always a bit of a tricky move, particularly when some of those men think they’re entitled to your position. Hard work won’t always win others over – sometimes it adds fuel to the smoldering embers of resentment. Jon saved Castle Black from being overrun by Wildlings. He mustered the courage of his flagging comrades and they pushed back an army – including a giant, literally pressing at the gates. This came a great personal cost as Jon lost the love of his life, doubly forbidden because she was a hated Wildling and also because the night’s watch take a priest like vow to swear off women. A one time win, no matter how spectacular, is not what was on the minds of the men who rose up against him. Leadership is as difficult and wonderful as life. We have to talk about the possibilities of things going wrong as much as all the potential of everything going right. It may (or may not) be too late for Jon. Not so for us. What are some leadership lessons you’ve learned the hard way?